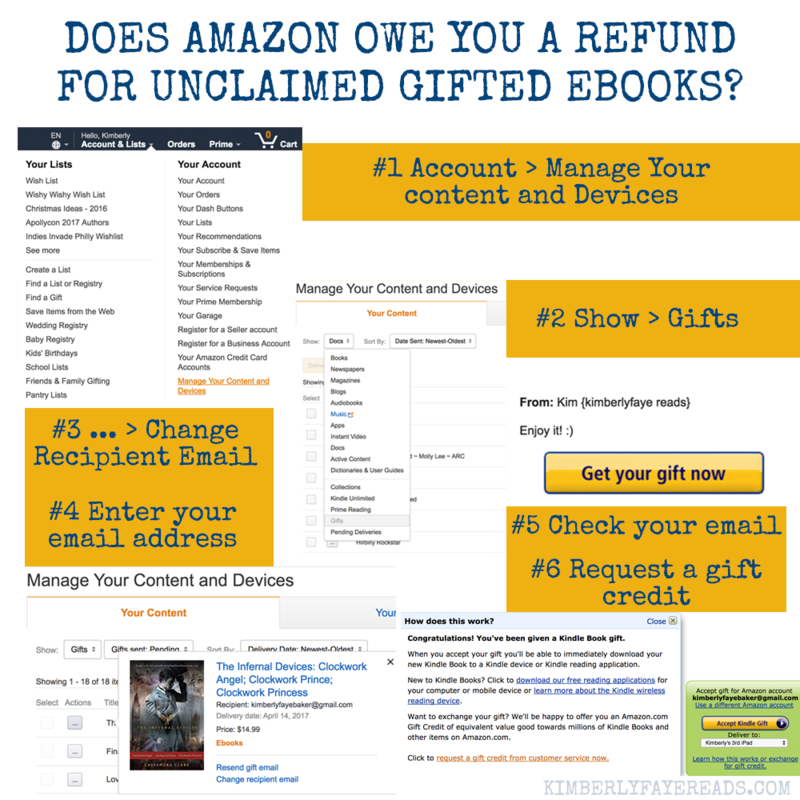 If you’re anything like me, you’ve probably purchased a fair number of eBooks as giveaway prizes or gifts over the years. Have you ever checked to make sure they’ve all been claimed? I hadn’t. I thought I kept a good record of everything, but boy was I ever wrong… and I never would’ve known if I hadn’t stumbled across an author’s post on Facebook. I was SHOCKED to find out I had over $66 worth of books sitting there just waiting for someone to claim them! That’s a lot of book money, y’all. 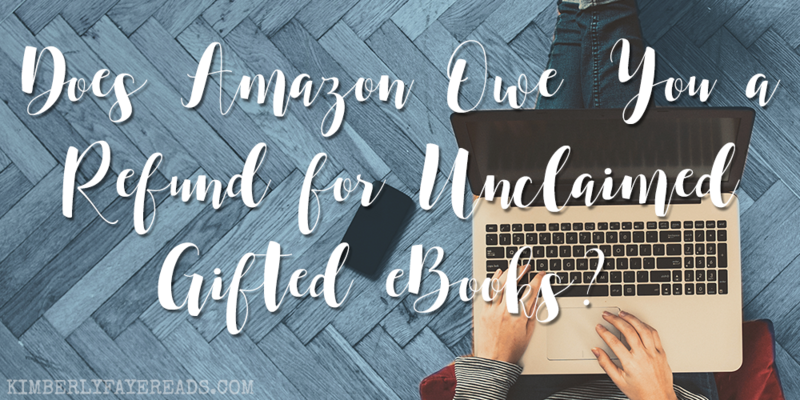 It was super easy to find out which books were unclaimed AND even easier to exchange them for an Amazon credit. Here’s how to do it. Feel free to share. Did you have any unclaimed gifts? If so, what are you going to do with your surprise credit? Hooray! 🙂 Glad you had something there! Thank you so much! I had no idea! And I just got 6 gift credits back! I can’t believe people didn’t claim their books! Woo hoo! I really can’t believe that people don’t claim books… even just to trade them in for credit if they don’t want the book itself! This was *hugely* helpful! I needed to fix one book gifted to the wrong email and found a dozen unclaimed books going back to 2012. THANK YOU!! Thanks so much! I’ve been searching for a way to do this! I had no idea that this was even possible! Thank you!!! I had several unclaimed that were years old and a ton I bought to give away and never did. I cashed in! Oh thank you for this info! Thank you for this! I found four in my account from 2015.